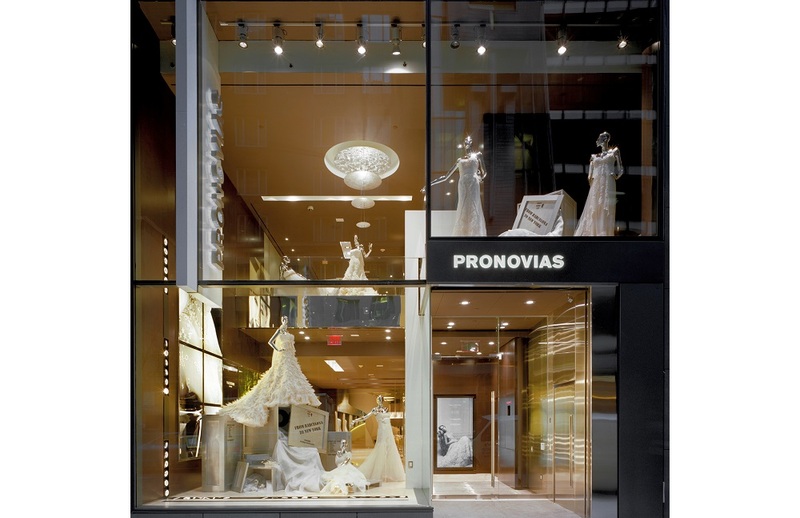 The offices and showrooms for Pronovias, a Spanish luxury bridal wear company, are housed in a seven floor building between Madison and Fifth Avenue in New York City. 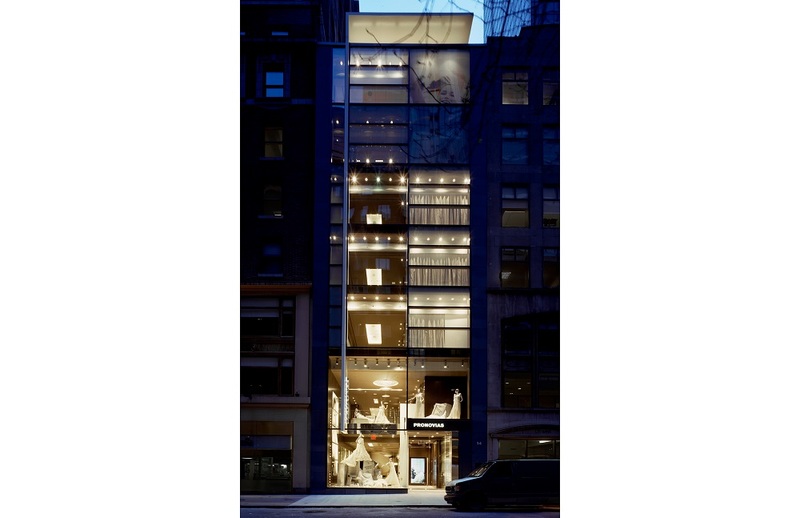 Clad in transparent and screen-printed glass, the bottom five stories contain showrooms while the remaining topmost floors serve as the company’s New York City offices. 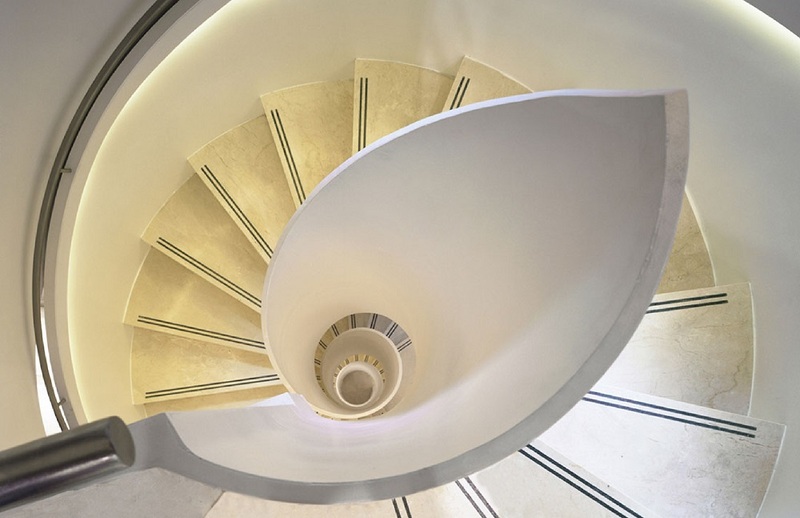 Each showroom functions as a separate boutique and is designed to be an intimate space for the bride and family, with five to six fitting rooms, waiting areas for family members, and a recessed kitchenette. 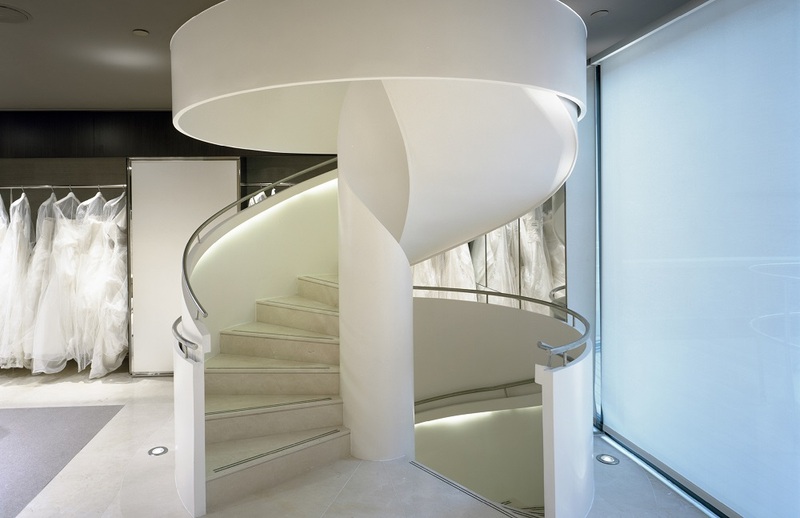 A grand staircase links the two levels of VIP showrooms, while the double height entrance lobby provides a vibrant and eye catching display for Pronovias. 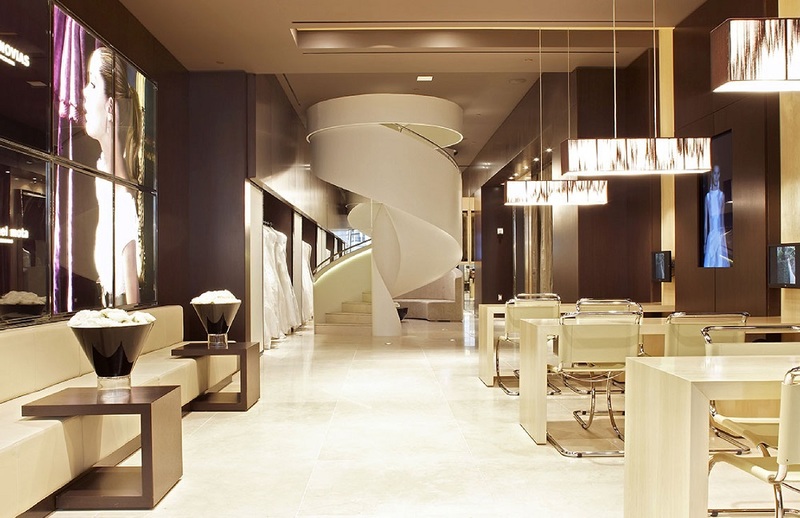 Additional details include the use of maple wood, pearlescent glass, and soft task lighting.